JJ Mottram Company is a southeast based full service commercial real estate company offering professional real estate services which include development, third party leasing, sales, and tenant/buyer representation. 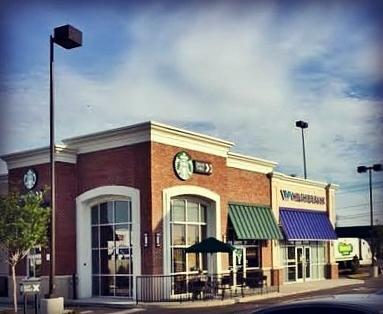 Sold - Two tenant retail building - November 2015 JJMottram Company along with Marcus and Millichap sold a two tenant building at 1601 Eastern Blvd, Montgomery, Alabama. SOLD - 3666 Debby Drive - August 2016 -Montgomery, Alabama JJMottram Company represented LeCroy Properties LTD in the sell of property. SOLD - 3721/3723 McGehee Road, Montgomery, Alabama- June 2016 JJMottram LLC represented LeCroy Properties LTD in sell of property. Leased - State of Alabama, ABC Store, February 2015 Negotiated a lease for a new store location at Montgomery Promenade, Montgomery, AL. Leased - Kelly's Nails - March 2015 New store location at 7700 Eastchase Parkway, Montgomery, AL. A premiere location at The Shoppes at Eastchase. Leased - GNC, AT&T, and Hibbett Sports - April 2014 Lease renewals were negotiated at Dublin Commons, Dublin, GA.
SOLD - Dublin Commons, Dublin, GA. May 2015 JJMottram Company LLC along with Marcus and Milichap sold 21,200 sq ft Wal Mart shadow center. SOLD - LeCroy Properties LTD - June 2015 Sold building at 3585 McGehee Road, Montgomery, AL. Leased - Farmer's Furniture - February 2014 Represented Wal Mart Realty in negotiating 18,000 sq ft lease. Leased - State of Alabama, ABC Store - March 2014 Renewal and expansion at Riverchase Galleria, Birmingham, AL.